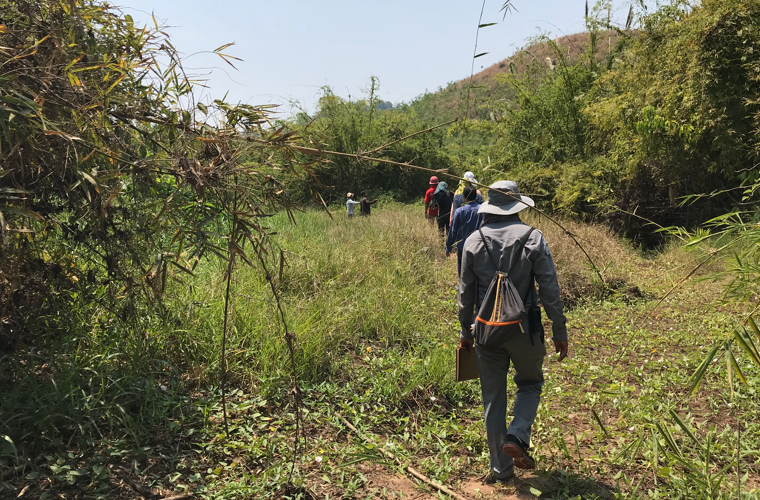 Community, company, and provincial government representatives, together with CAO, carry out the first land demarcation mission, Ratanakiri Province, Cambodia, November 2017 (CAO). Good progress has been made through a CAO dialogue process in Cambodia this year to address a land dispute about the impact of rubber plantations on Indigenous communities. CAO has been mediating between 12 affected villages and Hoang Anh Gia Lai (HAGL), a Vietnamese company with rubber plantations in Ratanakiri Province. The process responds to a 2014 complaint from the communities, supported by Cambodian and international NGOs, about loss of ancestral lands for development by the company. The connection to HAGL was through Vietnamese Enterprise Investments Limited/Dragon Capital, a fund supported by IFC. In 2017, the company committed to return 20 sacred sites, known as “Spirit Mountains”, and 2 burial grounds to the villages. To help implement this return, community and company representatives, including representatives from provincial government, carried out two joint land demarcation missions in 2017 and 2018 that mapped 45 areas of significance, including the 20 “Spirit Mountains”, 8 burial areas, and 14 chrops and 3 chraps, which are natural water areas. The parties requested the provincial government decide about demarcated areas still in dispute. The mediation is ongoing, with steady progress made during 2018. Learn more about the case here.